"Sampath Speaking" - the thoughts of an Insurer from Thiruvallikkeni: Teams stay at Olympic village at Rio; USA basketball players are on 'high-sea" !! Teams stay at Olympic village at Rio; USA basketball players are on 'high-sea" !! It has its own florist, a beauty salon and even a McDonald's; not any ordinary village. The Rio 2016 Athletes' Village is where the soon-to-be heroes of these Games are housed, a series of high-rise tower blocks accommodating the finest athletes on the planet. For the best athletes and others, the destination is Barra da Tijuca. The neighbourhood in Rio was chosen to be the home of the Olympic and Paralympic Village , where the athletes will stay during the competitions. It is where athletes will spend some of their time when they are not competing or training. It will bring together the most varied group of athletes, with different cultures, religions and languages. The time athletes stay at the Village offers them the opportunity to engage in cultural exchange and indeed, it is a moment when the biggest stars of the sporting world are able to swap stories. You will realise before finishing that the first para and 2nd are two different places ! The United States looked to be in big trouble in their first game after China got out to an early 2-0 lead, but they battled back and finished with a 119-62 victory. US Team missed their first five shots, but two free throws from DeMarcus Cousins sparked a 9-2 run that would put the game out of reach for good. With Kevin Durant and Carmelo Anthony the lone returning Olympians, the U.S. suited up ten Olympic neophytes in pursuit of their third straight Olympic gold medal. There were swathes of empty seats in the Carioca Arena 1 as the highly fancied gold medalists made their Rio 2016 debut. Lesser crowds perhaps is a major problem. The opening ceremony of the 2016 Olympics in Rio de Janeiro drew 26.5 million viewers on Comcast Corp.’s NBC on Friday night, a 35% decline from the record-setting audience for London’s opener in 2012, which attracted 40.7 million viewers, according to Nielsen. The performance was the lowest-rated Summer Games kickoff since the 2004 opening ceremony in Athens. This year’s event showcased a variety of Brazilian musical genres, from samba and bossa nova to the regional folk styles of the Northeast, and a commentary on climate change that showed the coasts of several countries being eroded by rising seas. NBC executives are counting on ratings to increase when viewing on digital video recorders and online consumption are factored in. “To expect the same pure television consumption four years removed from London just isn’t logical, but overall consumption is at or above our expectations,” said NBC Sports spokesman Greg Hughes. A comparison to London, he said, is “apples to oranges” given changing media viewing habits. With nine first-round exits, India's campaign on day 1at Rio was a sombre one, with only rower Dattu Baban Bhokanal and the men's hockey team really providing reasons to cheer. While Bhokanal entered the quarter-finals of the men's single scull event, the Indian men's hockey team beat Ireland 3-2 in their opening group match. In the men's 10m air pistol qualification, Jitu Rai did very well to reach Saturday's final after qualifying in sixth place with 580 points across six series, but exited after three shots with a score of 78.7. He finished eighth out of eight shooters, in what was his maiden Olympics appearance. Away, two Australian rowing coaches have been robbed at knifepoint near Rio's famous Ipanema Beach in a troubled start to the Olympic Games, which also featured a stray bullet being shot into a media room and an explosion occurring near the finishing line of the men's cycling road race on the opening day of competition. Rio athlete village is no paradise as one section of media is paining about. Andrew Bogut, an Australian basketball player who also plays in the NBA, complained on Twitter this week about his room in the Olympic Village. Last week, the Australian delegations had refused to move into the village before electrical and plumbing problems were corrected. While their competition deals with clogged drains, leaky pipes, electrical outages, and other borderline “uninhabitable” living conditions, the American basketball teams will be living large abroad a luxury cruise liner docked in the Port of Rio for the 2016 Olympic games. According to various media reports, the US men’s and women’s basketball teams are not staying in the Olympic Village, a cluster of lodgings where nearly every other country’s delegations (including other US athletes) live for the duration of the games. 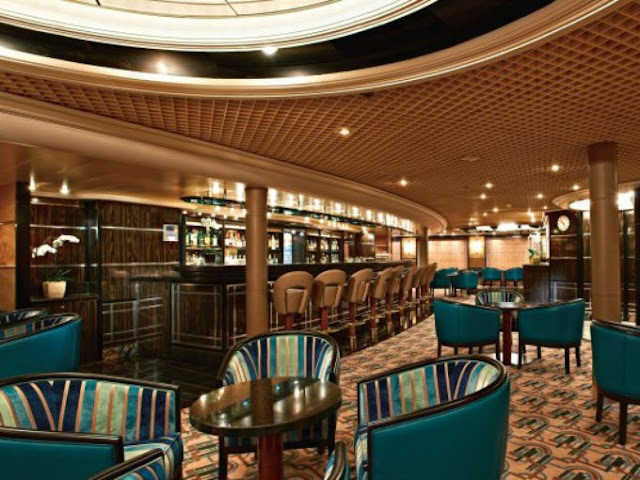 Instead, they stay on the Silver Cloud, a ritzy 300-passenger ship with its own gym, pool, bar, and most of all, beds that can accommodate very tall humans. Unlike the majority of Olympic athletes, US basketball players are global celebrities, each worth millions of dollars in contracts and endorsements. While several of the world’s best players, like LeBron James, elected to skip the Olympics, the men’s roster is still filled with famous NBA players, including Kevin Durant, Kyrie Irving, and Carmelo Anthony. The cruise liner is surrounded by a bulletproof fence, and is guarded by hundreds of police offers, the Telegraph reported. Federal police will also patrol the waters around the ship, which was commissioned by computer network company Cisco, one of the team’s sponsors. US basketball teams have not stayed in the Olympic Village since 1988—the last year before professional players were allowed to play in the Olympics. The teams stayed in hotels in London (2012) and Beijing (2008), and even stayed on a cruise ship once before, at the 2004 games in Athens. When they last stayed on a cruise ship in 2004, Carmelo Anthony complained of feeling isolated. “We was stuck on a boat,” he said. “We really didn’t have a chance to interact with nobody.” That year, the men’s team was a massive disappointment, winning only the bronze medal after they were expected to win gold rather easily. This year’s squad, which again is the heavy favorite for gold, should hope that there’s no curse of the cruise ship. The director USA basket ball is quoted as stating that once International Olympic Committee decided they wanted pro players, to allow pro players to play, we have to protect them. They’re very valuable assets. 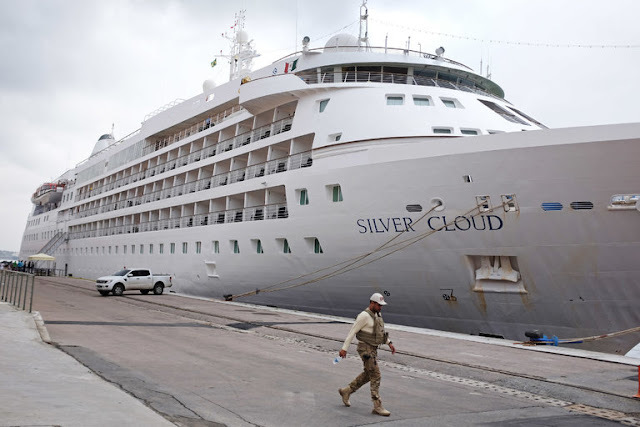 Fans are kept at a distance behind a guarded fence with metal detectors, but they have been sticking their cellphones through the fencing to take photographs of the ship — the Silver Cloud, part of the Silversea Cruises fleet, which can accommodate 296 people.